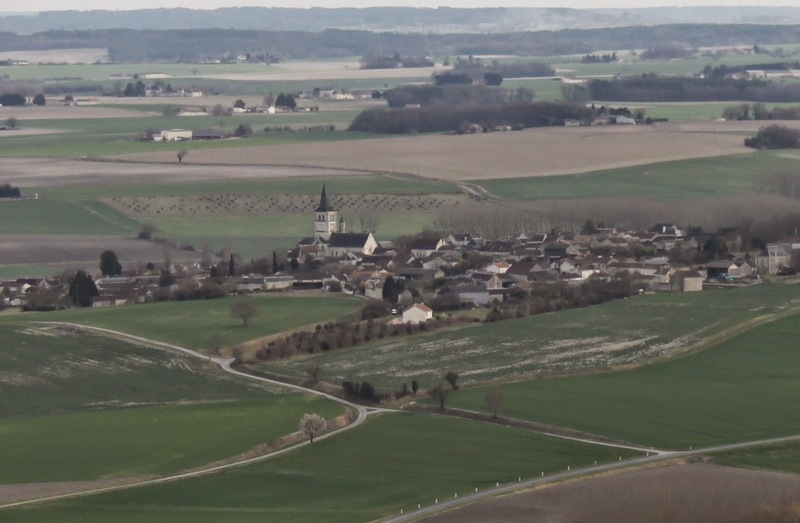 "In the Middle Ages, Faye la Vineuse was a barony estate, inhabited by almost 11,000 people. This prosperous town numbered several parishes, was surrounded by high defensive walls, with moats, draw-bridges and four lookout towers. 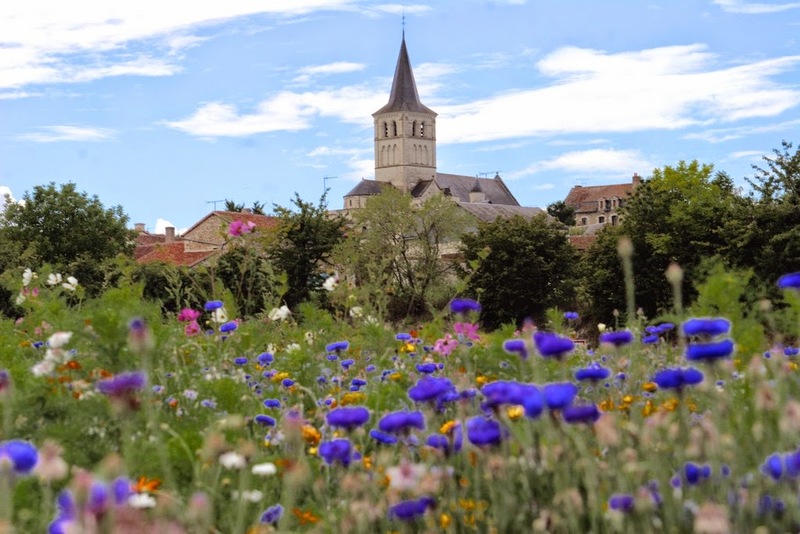 During the wars of religion at the end of the 16th century, Coligny’s armies pillaged and burned down the town; the stones were later used by Richelieu to erect his city and castle. St George Collegiate church, a fortified building of Romanesque period style, was built in the 12th century. It included a chancel, beautiful carved capitals and an unusually large, high vaulted 11th century crypt, classified as a Historical Monument. Literally an underground chapel, complete with ambulatory, this crypt contains many details and particularities making it a true architectural treasure." 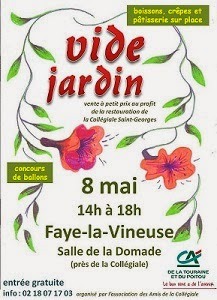 The Vide Jardin is organised by l'association des Amis de la Collégiale to raise funds for the restoration of the Collégiale. There promises to be some fantastic plants, a great atmosphere, and refreshments all in a lovely setting. If you have the opportunity why not come along and see for yourselves? We might just do that. We've passed through the village quite a few times but never taken the opportunity to stop and explore further. We might be there too. The church sounds interesting and we need some more tomato seedlings.